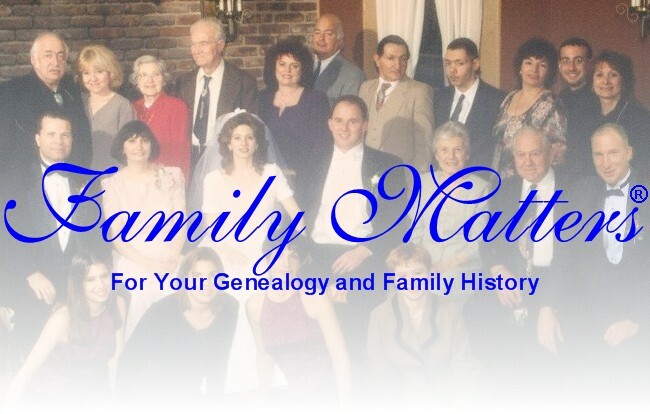 Welcome to the MatterWare Family Matters® Genealogy Software Web page. Family Matters is now available at version 4.23c (corrected startup file error and window sizing error on large monitors - see also versions.txt). 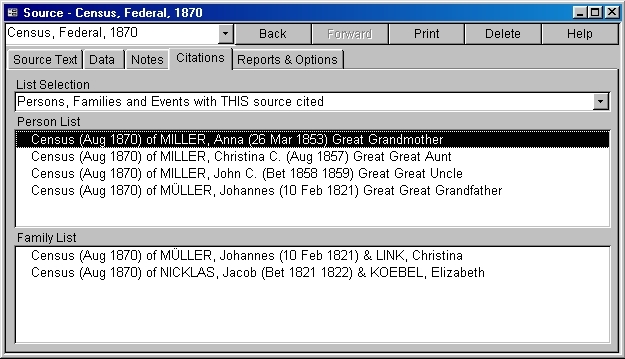 Unlimited Source Citations allow linking of sources to persons, person events, families, and family events. 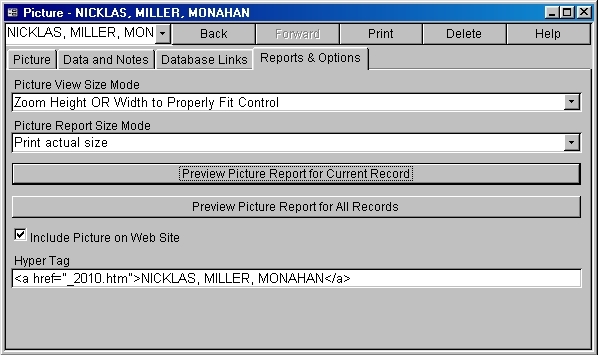 For web generation, you can now include those photographs in your database, and the picture/person links you have in your database can be included in your web site. Additionally for web generation, there have been significant improvements in the creative control provided. FM is a full 32-bit Microsoft Access application (so savvy users can extend FM's capabilities). 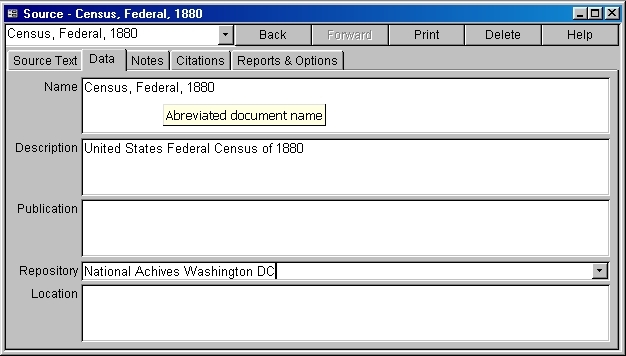 There is also versions for users of Access 2000 or better. To go to Family Matters download page, click here. Your registration for each can be ordered by going to the on-line order page. The cost of registration of Family Matters is US$35. There's also a CD available with everything on it that can be ordered. ANNOUNCEMENT: Family Matters version 5 is now being developed. Initially a beta version is available, designated 5.00.beta. 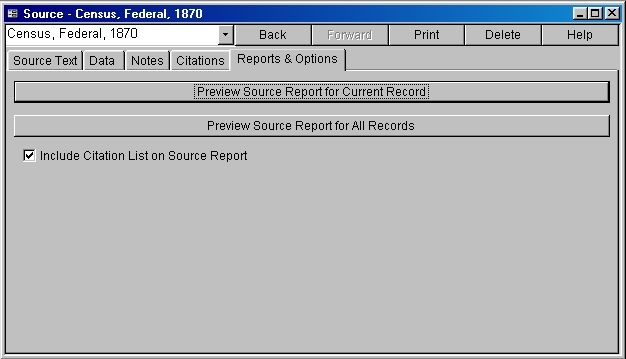 Development is with Microsoft Access 2010, and is free to all registered users. Details are on the Family Matters Beta page. 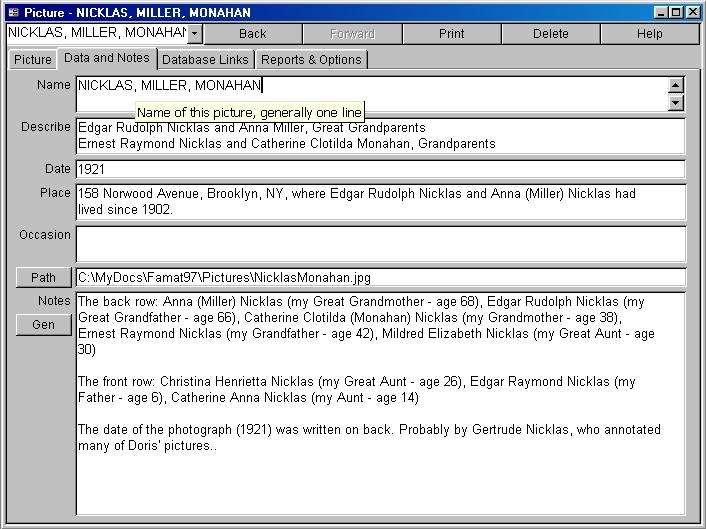 When you generate your genealogical web site using Family Matters, a GenDex.txt file is automatically saved. 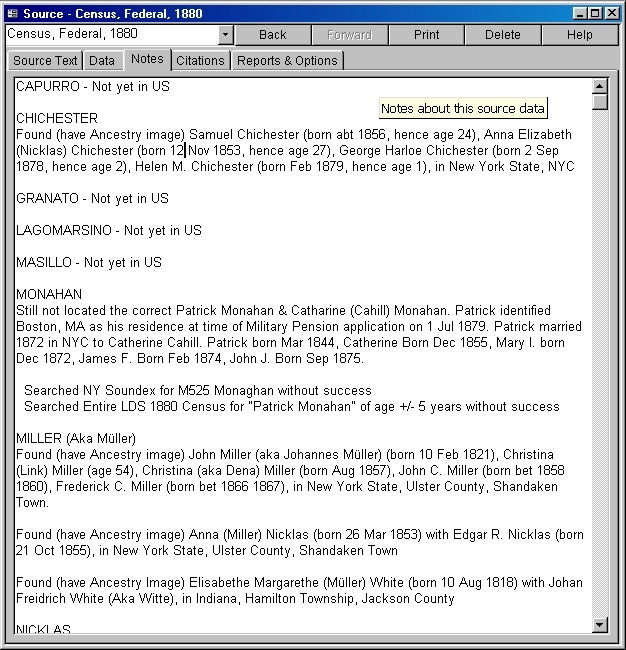 Register web site and gendex file for indexing at the new http://www.gendexnetwork.org to allow other researchers to find common ancestors. The MatterWare help line is (803) 396-2011. First, check the Frequently Asked Questions document to see if there's something there that will help you. The Family Matters manual is now on-line in PDF format. 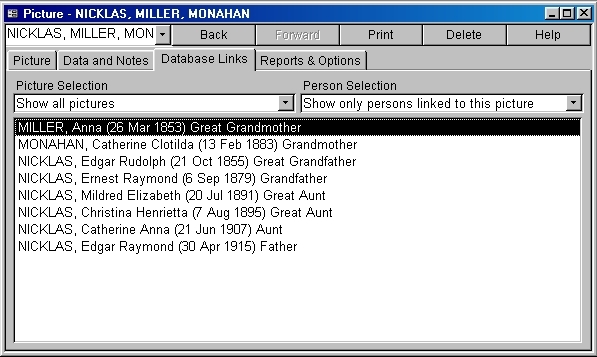 Even if you don't use FM as your primary genealogical software, it will import your GEDCOM and generate your own nifty genealogical web site for you (even if you're unregistered). And, you can choose to suppress output for living people, and persons born more than 75 or 100 years ago. It gets better. You can also specify persons and families to either include or exclude, overriding the persons-living selection. It gets still better. 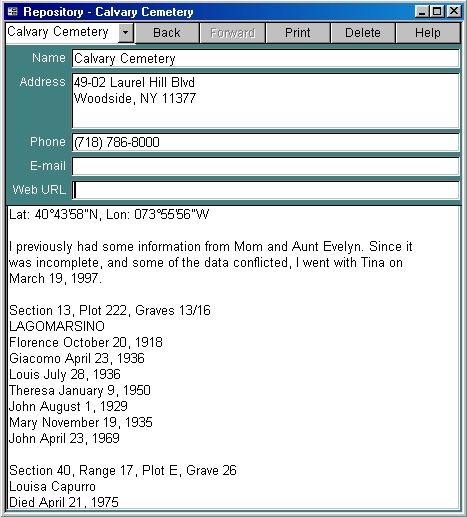 Taking advantage of FM's extensive notes capability, you can specify a portion (or all) of individual and family note text as WebNotes for inclusion in your web site. And include scanned pictures as well. 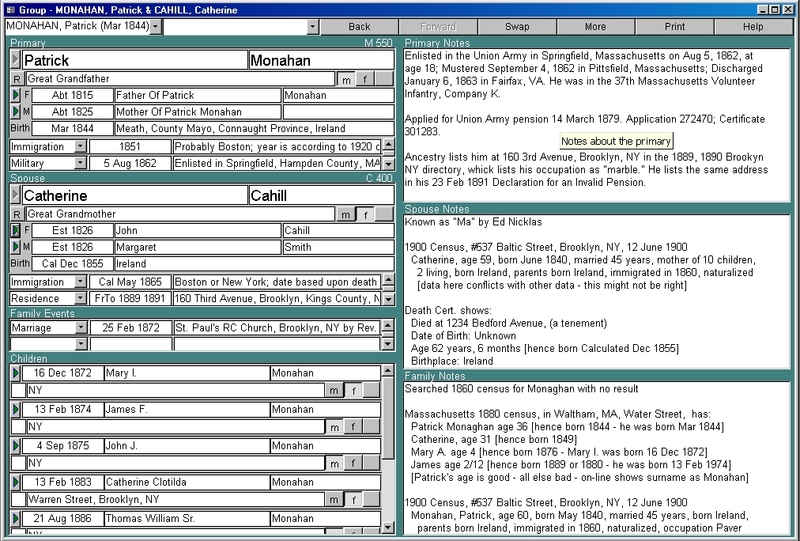 And include portions of your Chronicles database of your choosing. 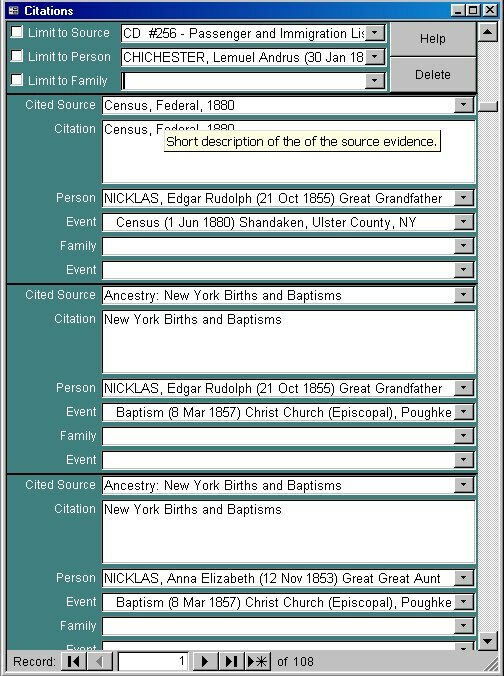 Check the author's genealogical web site by going to http://www.raynicklas.com/genealogy. 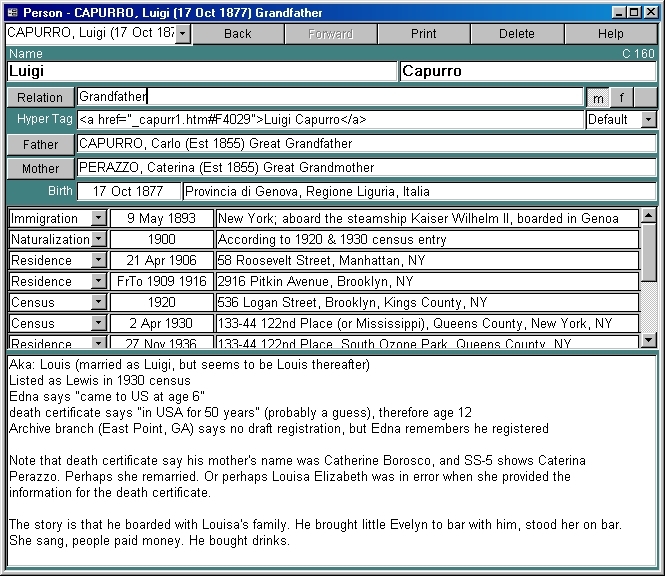 The site is completely generated by Family Matters, and was evaluated by Ancestral Branches, and (they said) "found it informative, easy to navigate, original and an excellent contribution to the Internet genealogy community as a whole. We are happy to present you with The Genealogy Sleuth Excellence Award. Keep up the wonderful work!". 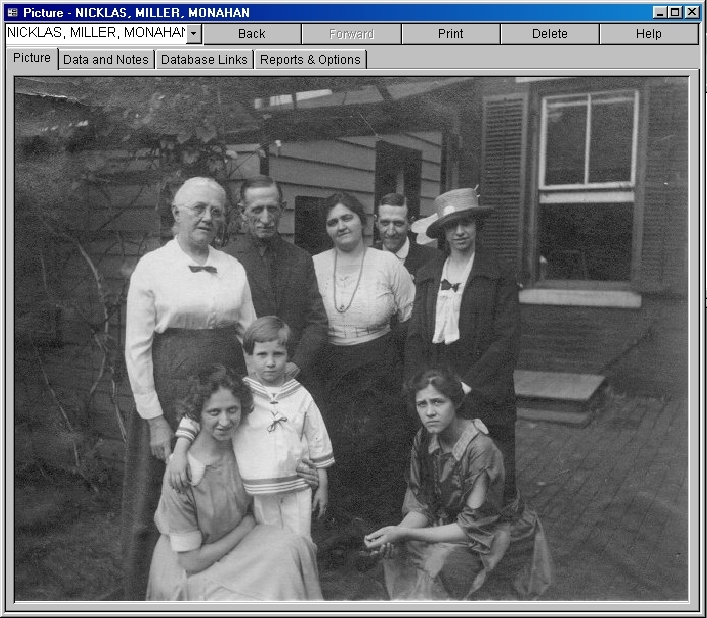 If you are unfamiliar with Family Matters, read the reviews by professionals and users. To go to Family Matters' download page, click here. 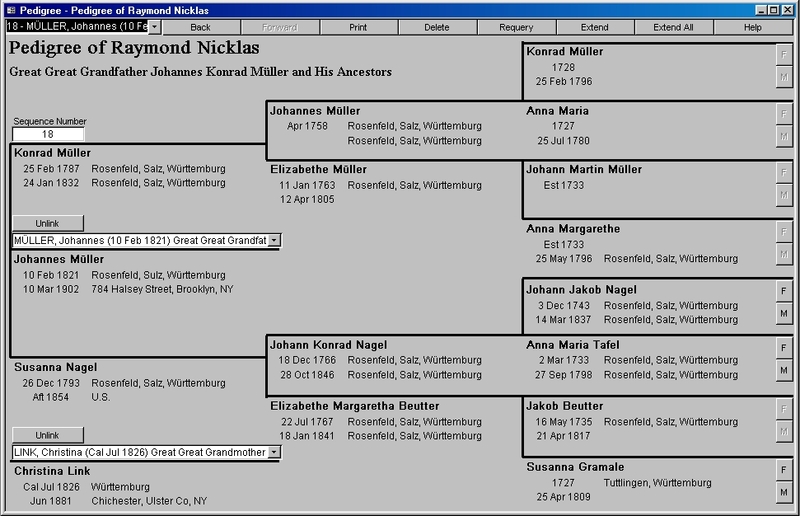 Descendancy Chart person selection by surname or soundex code (3.20). 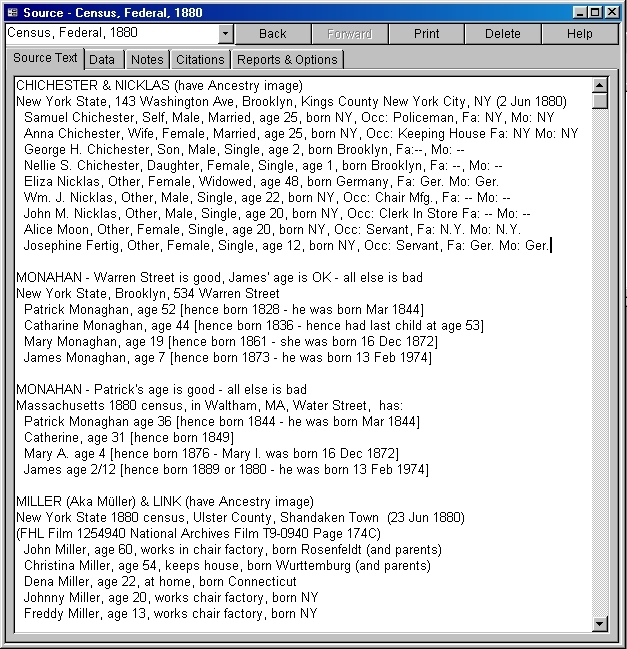 Free-form note text of over 64,000 characters for each and every family, individual, source, chronicle, repository and picture. If you're already convinced that this is a great value, go to the on-line order page to order Family Matters now! You'll have your registration codes by the end of the day, or at worse another day or so. To order and register Family Matters for full use by snail-mail, rather than utilize the Internet for this purpose, send an order form and check or money order (plus South Carolina sales tax if applicable) made out to Ray Nicklas to: MatterWare, 381 Garnet Court, Fort Mill, SC 29708. Credit card orders must be placed on-line. Once have registered your copy of Family Matters, you will have the ability to store as many families and persons in as many different files as you wish. If you have not yet registered, the only limitation is that once you have reached or exceeded twenty families in a data file, you'll not be able to enter more. 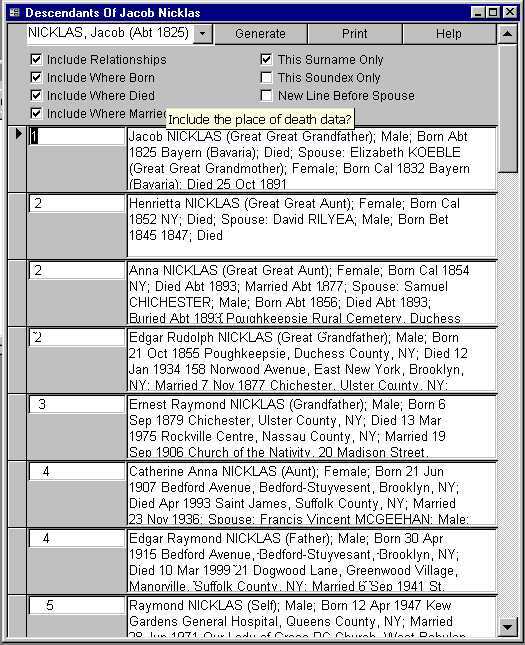 (Hint: a GEDCOM import can exceed it by thousands.) Payment of the registration / order fee will provide you with a UserID, Key Code, and the latest version by mail. (But then, if you've downloaded from here, you already have the latest version.) If you're now convinced that this is a great value, go to the on-line order page to order Family Matters now! You'll still have your registration codes by the end of the day, or at worse another day or so! If you would like to send me e-mail about MatterWare and Family Matters, click here. Just make sure you tell me which version we're talking about, and anything else relevant.